Whether looking for period charm, a style of elegant restraint or infuse a spirit of playfulness, by combining some or all of these elements you will create a personal statement all your own. Accent furniture, (including tables, consoles, benches, chairs and more ) made from a blend of plantation hardwoods, top quality veneers, pine and other quality wood products, resins and metals. Hand painted pieces for that "one-of-a-kind" custom look. 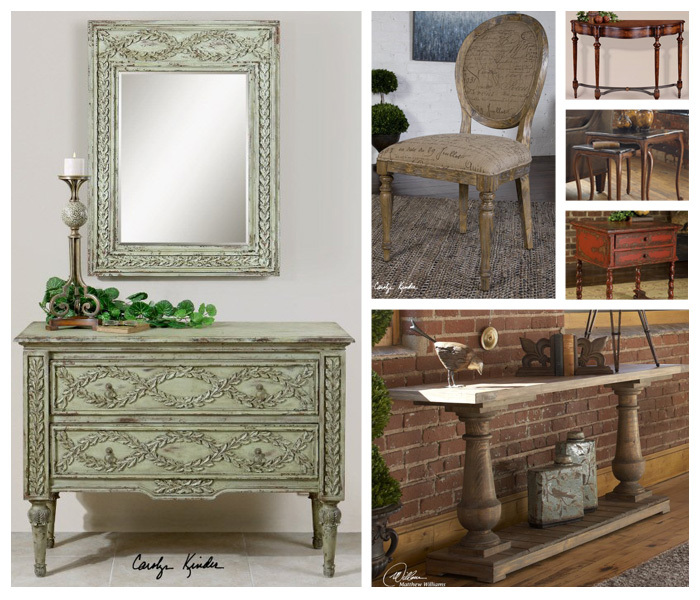 Antique reproductions constructed from reclaimed pine and timbers. Upholstered chairs, benches and bar stools paired with their own line of couture fitted slipcovers. Whether you crave the cleanliness of fuss free furniture or the nostalgic desire for the ways things used to be find what fits your taste, lifestyle and budget and yet timeless for contemporary living.